What Has Been the Impact of Fintech on the Financial Industry? How Has Fintech Impacted the Financial Industry? There has been a lot of hype about the Fintech (financial technology) industry. It is referred to as one of the biggest disrupters of the modern era. The industry appears to be highly successful. The media outlets are filled with stories about new startups, public offerings, acquisitions and other events that demonstrate a staying power. When Fintech first emerged on the scene around five years ago, its future was uncertain. Today, Fintech and its impact on the financial world is one of the main topics at banking industry conferences. It is also a global phenomenon. In fact, one of the fastest growing Fintech markets is in developing regions. The ability to reach people who have no access to financial products but have mobile phones has been the major engine driving Fintech’s global reach. Icon financial institutions such as CitiBank in the U.S. or ABC in China have hundreds of millions of customers, however extensive time was required to cultivate and grow, in some cases a hundred years. The internet world changed everything. A company can now scale up in a minimum amount of time and become a household name almost overnight. Consider the examples of LinkedIn, Facebook, Google and Amazon. These companies have taken between 10 to 20 years to reach their billion+ client base. The digital environment means that Fintech companies can grow rapidly. They are not stuck in the traditional financial company growth paradigm. Zhong An is a Fintech company in Asia. It was launched five years ago. The company already has 600 million clients. Alipay is another example with half a million customers. Paytm, a Fintech in India that launched ten years ago, has a 300-million client base. These companies continue to grow. This phenomenon is not limited to Asian Fintech. In America, there are many examples, such as Credit Karma, which was founded less than 10 years ago. By the latest records, more than a third of American consumers are clients of Credit Karma. The ability to scale up so rapidly means that within a very short period of time, a new Fintech company can become a competitor of Citibank, JP Morgan and the other giants of the financial world. 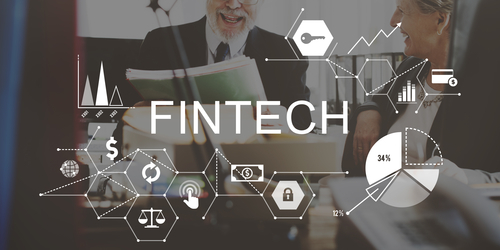 This is why major financial institutions are paying attention to Fintech and looking for ways to incorporate digital technology platforms into their business model. How are Banks Reacting to Fintech? Banks are reacting to Fintech in two primary ways. They are investing in financial technology development laboratories, incubators and in Fintech platforms. Goldman Sachs, for instance, has invested in more than 37 Fintech companies over the past few years. JP Morgan and Citibank have done the same. The second response of banks to Fintech is to innovate in-house. The goal is to become smarter about technology. In some cases, investments have been the pathway for this. Goldman Sachs invested in Kensho. Beyond the return on investment, Goldman Sachs got their foot inside the door of Big Data and artificial intelligence. Banks are learning from their invested Fintech companies, positioning themselves to capitalize on financial technologies. By offering new digital products and incorporating artificial intelligence and other emerging technologies into their business model, banks can retain consumers and break into new markets. Great article! It was very informative to me. I have used Credit Karma in the past and I think it is a great tool to use. I hope things like that continue to grow and be more common. Thanks for the read! Great article! It was an interesting read for me. I have used Credit Karma before and I really enjoy it. I think it is very useful. I hope things like that continue to grow and become more common. Thanks for the read! A real game changer. The world has so many revolutionary ideas that are stifled due to financial burden. This article is very important … i like it. Its amazing how a mom and pop store can basically become a household name within a night or two. This is a highly informative article and a great read on the growth of Fintech across the world. This is a highly informative article on the growth of Fintech across the world. I had a little knowledge about microfinance. After reading some article from this blog, I would say now that I have some knowledge about microfinance. Really good article out there. Great article that breaks down microfinance in a simple manner. The internet technology industry is still on the rise, and these guys are continuing to take advantage of that opportunity. Great useful information. He knows what he’s talking about. This article is so informative and really gives me a great insight into this and just puts lots of great thoughts into my mind! Great details, descriptions, and writing! I have more than 20 years of experience in the real estate, sustainable resource development and financial industries. 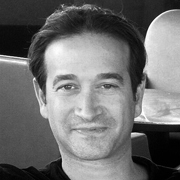 Born in Israel, I have partnered with or been the initiator of several unique and successful global businesses.